ANN ARBOR, Mich. - The University of Michigan has canceled all classes and events at its Ann Arbor campus until Friday morning due to weather, school officials announced. The emergency reduction in operations is effective at midnight Tuesday through 7 a.m. Friday. Officials cited predicted extreme low temperatures and wind chills as the reason for the closure. 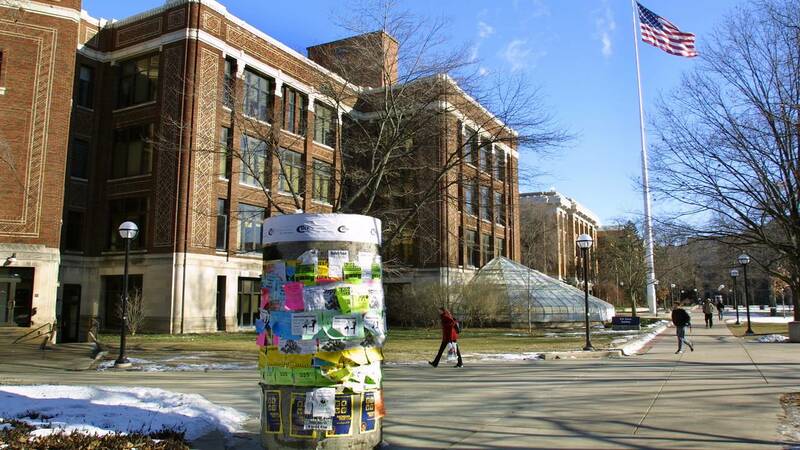 "The University of Michigan Ann Arbor campus issued an emergency reduction in operations effective tonight at 12 a.m. Wednesday through 7 a.m. Friday due to predicted extreme low temperatures and wind chills. "All classes and events occurring during this time have been canceled. "During an emergency reduction of operations, only previously identified critical employees are expected to make a reasonable effort to report to work if operations are being maintained in the employee’s unit, or unless notified otherwise by their supervisor. "Staff with questions about whether they are required to report to work during an emergency reduction in operations are advised to contact their unit supervisor for clarification. Faculty members with questions are advised to contact their department chair or dean’s office. "In a Tuesday afternoon email message sent to students, faculty and staff on the Ann Arbor campus, university leaders said the reduction in operations includes the cancelation of all classroom and laboratory instruction and also extends to all non-critical services and operations. "The message was signed by Provost Martin Philbert; Dr. Preeti Malani, the university’s chief health officer; Laurita Thomas, the university’s chief human resources officer and Eddie Washington, executive director of the division of public safety and security. "The Michigan Medicine (University of Michigan Health System) will remain operational for patient care only. UM-Dearborn and UM-Flint also have suspended classes for at least Wednesday and will continue to monitor conditions for Thursday."